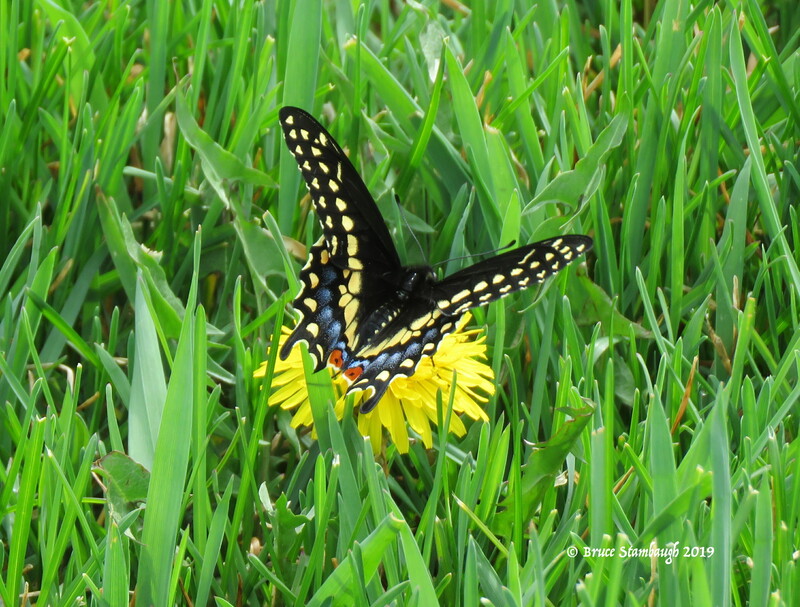 I just happened to see this Black Swallowtail butterfly flying in our backyard. It was the first of the spring, and I raced for my camera. Fortunately, it was still there when I returned, flitting from one dandelion to the other. When it finally landed on this one, I started snapping away from the patio 15 ft. from the butterfly. You can judge the diminutive size of this beauty by comparing it to the dandelion blossom on which it chose to roost. “Black on Yellow” is my Photo of the Week.